To celebrate the launch of the highly anticipated Star Wars: The Last Jedi, Samsung Electronics Australia has partnered with The Walt Disney company Australia to bring Australian fans an exclusive Star Wars VR experience, Droid Repair Bay. 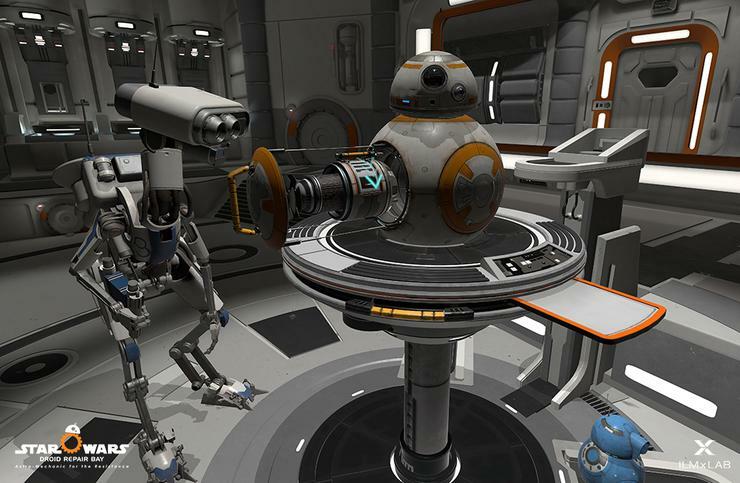 Developed by Lucasfilm, and available in Australia exclusively at Samsung stores, Droid Repair Bay uses Samsung’s Galaxy S8, S8+ and Note8 smartphones combined with Gear VR headsets to place you on-board a Resistance ship shooting across the galaxy. From there, your mission will be to repair fan favourite BB-8 and other BB-class droids, a trickier task than it first appears as your ship comes under attack from the First Order, meaning you, your droid friends, and your combined specialised skills will be needed for an epic space battle. The chance to send Kylo Ren and his diabolical First Order packing can be experienced from today until February 1, 2018 in Samsung stores across Australia. Check out the teaser trailer for Droid Repair Bay below.